Long story short, I hired a contractor to repair this portion my roof which had been leaking for quite some time evidently. 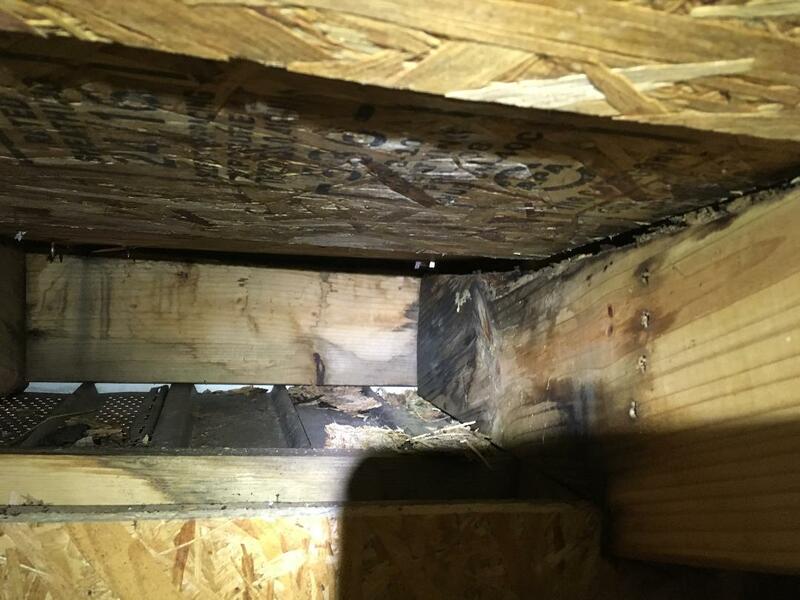 I stated I wanted this rotten area replaced during the inspection for estimate and my trust in the company and lack of understanding of roofing terms led me to believe it was included in the estimate. Once the job was complete, this is what I found. They quickly informed me that the estimate only included replacing rotten decking. Rotting rafter aside, I believe the State of Indian has adopted the International Building Code and I'm trying to determine if this portion of the decking not being nailed to the support is a violation of that code. Not having a good understanding of definitions and other understanding of this industry, can someone direct me to the site, if it exists which would require this decking to be nailed to the rafter? For reference, this is the edge of the roof in this direction as it butts up perpendicular to the main house just beyond this rafter. This piece of decking is not nailed down and can easily be pushed up by hand. You can see the last nail used about 6 inches from the left of the photo, into the fascia. Everything beyond that is loose. I'm no roofing contractor but I would think securing the front and side edge would be kind of important for the longevity of the installed roofing material.